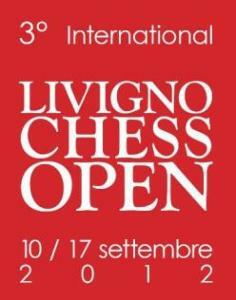 The 3rd Livigno International Chess Open is going to take place from September 10-17 at the Polifunzionale Plaza Placheda in Livigno, Italy. At 1900m above sea level this is probably Europe’s “highest” international event. The Festival is managed by the A.S.D. Circolo Scacchistico Amos Cusini and will be played in two groups – Open A from players rated above 2000 elo and Open B for players under 2000 elo. Both groups will be played over 9 rounds of Swiss System with the time control 90 minutes /40 moves + 30 minutes to end the game and 30 seconds bonus for every move. The total prize fund is € 9.000,00. The winner takes € 1.000,00 + Cup, and there are prizes for three rating groups, women, seniors and juniors. In the previous editions the winners were GM Igor Naumkin in 2010 and GM Sergey Volkov in 2011. Livigno also offers many activities all year round, so it is the ideal place even for those who aren’t interested in chess. The resort of Livigno owes its fame from to the fact of being a tax-free area. More than 250 shops for a few hours of leisure with the big names of international fashion stylist with particularly advantageous prices. Rich proposal of trekking, walking or Mountain Bike way for the pleasure of five sense: the colour of nature, the wood smell, the sound of the torrent water, the pick of wild fruits and the taste of local dishes proposed in local restaurant. More information on website: www.livigno.eu.